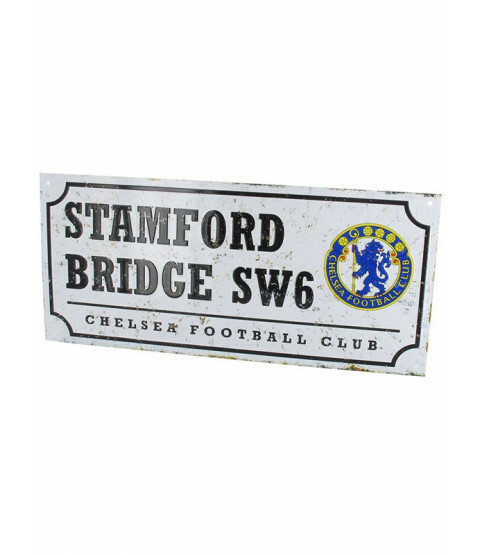 This Chelsea FC Stamford Bridge Street Sign makes a great gift for Blues fans of all ages! 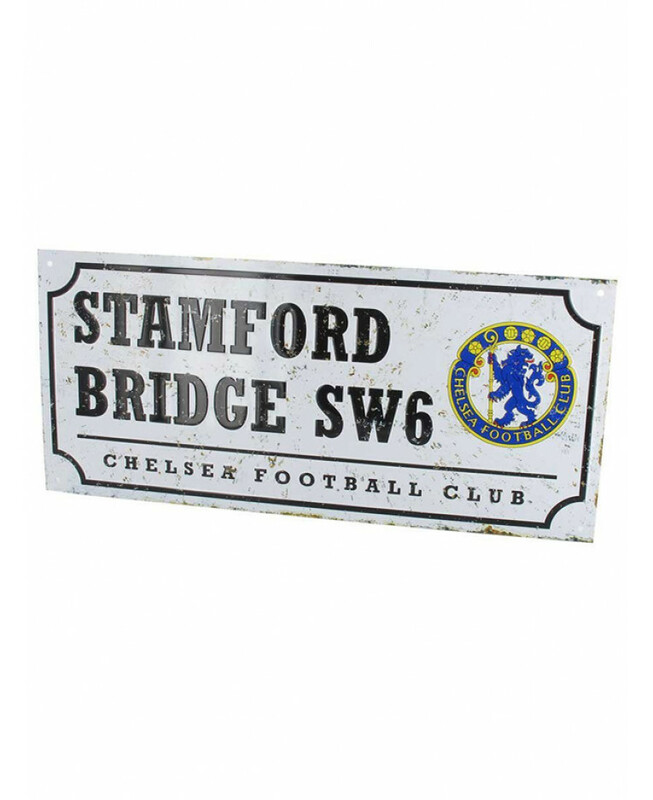 The design of the metallic embossed sign is based on the Stamford Bridge SW6 road sign and features a fantastic fake rust effect for an authentic vintage feel. The sign also features the iconic club crest used from the 50's to the 80's to complete the retro look. A must for all die hard Chelsea fans!